Spaceship has compared 6 cleaning startups in Singapore in details. Hopefully, you will find them useful for your next house cleaning. 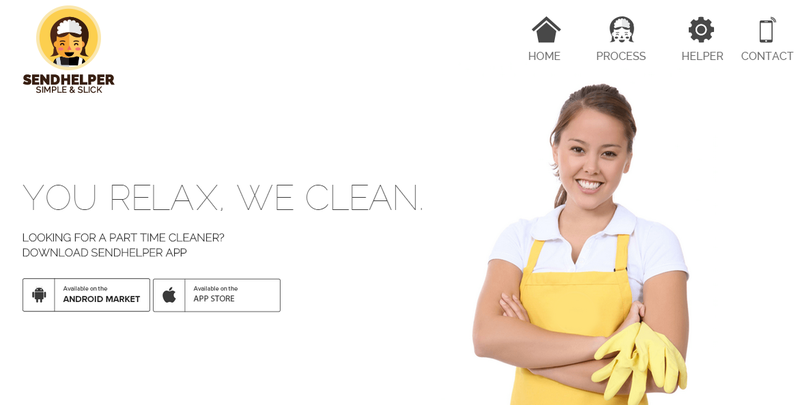 Different from cleaning agencies, cleaning startups usually do not have cleaning staff. Instead, they serve as a marketplace where those looking for service can find self-registered house cleaners who have legal working status in Singapore. Usually cleaning startups offer two types of pricing: one-time (or ad hoc) rate and recurring rate for weekly services over one or few months. Recurring rates of most startups do not differ much and are usually between $20/h (Helpling, Sendhelper) and $28/h (Sixhands). This range is comparable to some traditional cleaning agents. For ad hoc rates, the difference between different startups can be as big as $13/h. (Sendhelper charges $22/h whereas Helpling charges $35/h.) Thus if you are booking for one-time service, you may want to spend a bit more time comparing prices. 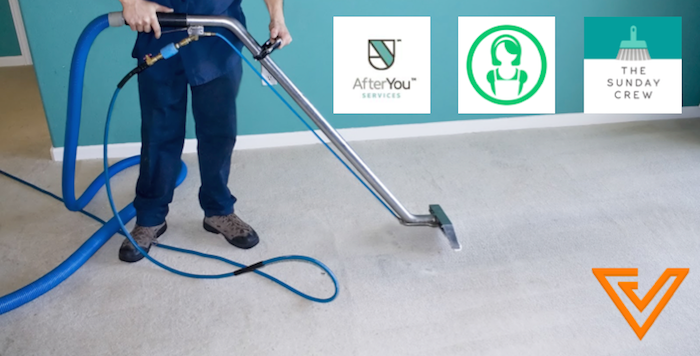 Startups like Helpling, Sendhelper and Fuss hold interviews to test out cleaners' cleaning skills and some startups like ServisHero and AfterYou do not have any screening over cleaners' competency. Startups like Sendhelper, Fuss, ServisHero and Sixhands have direct customer hotlines to offer immediately help, while AfterYou and Helpling allows customer to feed via email and the contact form on their website. Most startups offer certain form of compensation against this risk. Helping and Sendhelper insured 1 million against theft and damage and Fuss promises money back guarantee. ServisHero says its customer service will try to help resolve the incident while Sixhands will compensate a limited amount. Here is a summary of comparing top 6 cleaning startups. Note: better performance, higher scores for the startup; lower recurring price, higher score for the startup. Among all 6 google reviews, 2 reviews are negative, mainly due to unprofessional service by untrained cleaners. Helpling replied to most reviews. 1 million public liability insurance. Registered cleaners are Singaporeans or PRs with police background checked. Additionally, they have to pass multiple stages of interview including a cleaning knowledge test to ensure they have proper cleaning skills. Among all11 google reviews, 4 reviews are negative, due to cases such as unsatisfactory cleaning service, helper never turning up, helper asking for transportation cost. Sendhelper replied to most reviews. 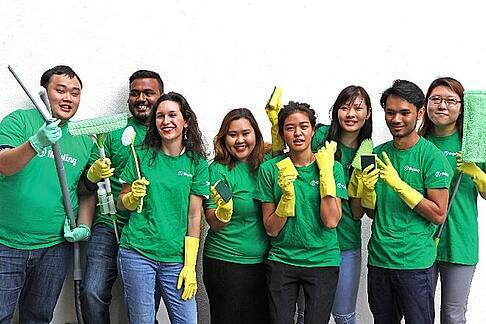 Registered cleaners are Singaporeans or PRs and assessed to possess certain level of cleaning skills. There is in-app rating for the helper to ensure service quality. 7% discount if signing up monthly packages. Customer service will call you to confirm the details. Registered cleaners are verified to be legal workers but their skill level is not guaranteed. Profiles of helpers and pre-booking chat are available, but no ratings for helpers. Session duration has choice of 30-min increment instead of 1-hour increment. Among all 5 google reviews, 3 reviews are negative, mainly due to CS support and scheduling issues. Money back guarantee upon verified damage or theft. Registered cleaners are Singaporeans or PRs with criminal records checked. Additionally, they are interviewed in person to check their competency and experience. Among all 2 google reviews, 1 review is negative. Proper invoice will be issued. Consultation session is available to assess cleaning requirement. Service not covered includes work at height, heavy load, pet mess, antique. Quite often, after cleaning your house, you may suddenly discover that you have so much clutter in the house and wish to find a good place to store them. You can always call Spaceship @6220 0126 to engage an enjoyable valet storage service. Alternatively, you may try out these smart ideas to store your items.